You should consume water at room temperature; consuming cold water sits in your stomach until it warms up to your body temp. By the time your brain communicates the feeling of thirst to your body, you’ve probably lost 500ml or more of water – you are actually dehydrated! Drinking water increases physical stamina and reduces stress. Dehydration causes headaches, dizziness, and lethargy. Adding electrolytes to water further increases our ability to rehydrate; electrolytes are salts that balance acids in our bodies and assist in normalizing our PH levels. Adding just a pinch of unprocessed sea-salt gives reduces the frequency of urination. 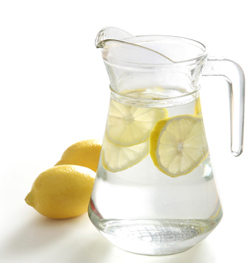 Water keeps our skin hydrated and fresh, giving us a more youthful glow! It’s no secret that water packs a crucial nutritional punch. Not only does water make up 75% of our bodies, but proper hydration is essential to every single bodily function. Water delivers oxygen to our organs and helps us eliminate waste. It fuels our cells, nourishes our blood, and feeds our brain. Ever wonder why your head aches after a few too many beers? That’s your brain suffering from a lack of hydration! On the other hand, if we don’t consume the appropriate amount of water, we are missing out on these vital benefits. 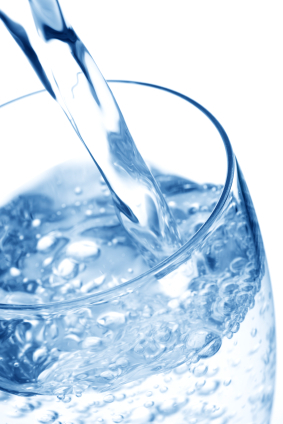 The best hydration we can give ourselves is clean, pure, natural water. If you’re wondering how to figure out what you need, a great guideline is provided by Paul Chek of the Chek Institute, and it is based on your individual body weight. The calculation (outlined below) will assist you in assessing the daily minimum required for optimal cell function. Take your body weight in Kilograms and multiply it by 0.033. This will give you the amount of water required in litres. Don’t forget to drink your water! Gary Jasmin is a certified C.H.E.K. coach, practitioner and trainer. As part of his holistic approach to health and wellness, he can coach you on proper hydration and assist you in determining you water needs. Click here for more information on nutrition counselling.